Save your files with the help of a little pony! 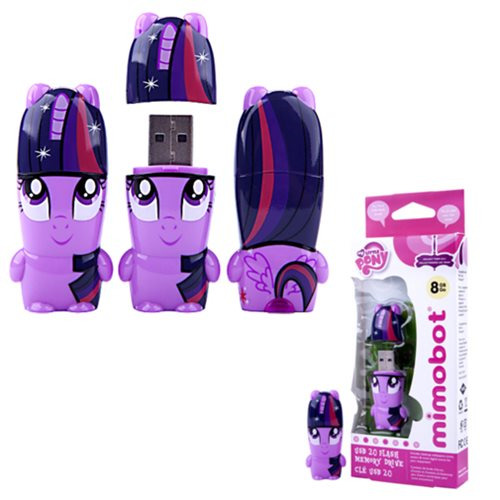 This hi-speed My Little Pony Twilight Sparkle Mimobot USB Flash Drive is Mac and PC compatible. Packaged in a window display box and measuring approximately 2 1/2-inches tall x 1-inch wide, this USB Flash Drive is available in a variety of sizes, from 8GB to 64GB! Ages 13 and up.